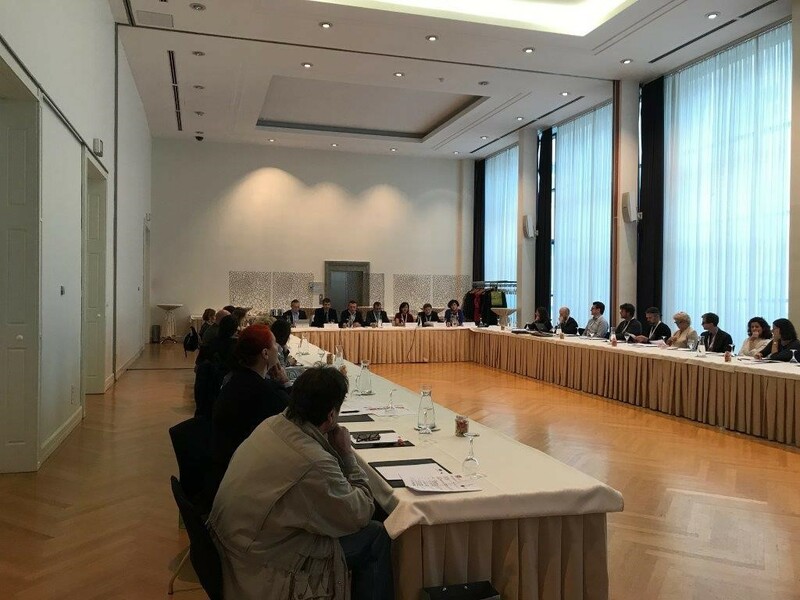 CISAC and EVA organized on the 17th October 2017, the Visual Arts Regional Conference in co-operation with the Slovenian Association of Fine Arts Societies (ZDSLU) and with the support of the Slovenian Ministry of Culture, at Grand Hotel Union, Ljubljana. Representatives of artists, photographers and illustrators’ unions were gathered, coming from Croatia, Bosnia, Montenegro, Serbia and Slovenia. The conference opened Mr. Aleš Sedmak, painter and President of ZDSLU, stating that visual art is present today like never before. Mr Sedmak informed the audience of having introduced a candidature for the founding of a collecting Society for visual authors in Slovenia signed up by the Slovenian fine arts, photographer’ and illustrators with the Copyright office. 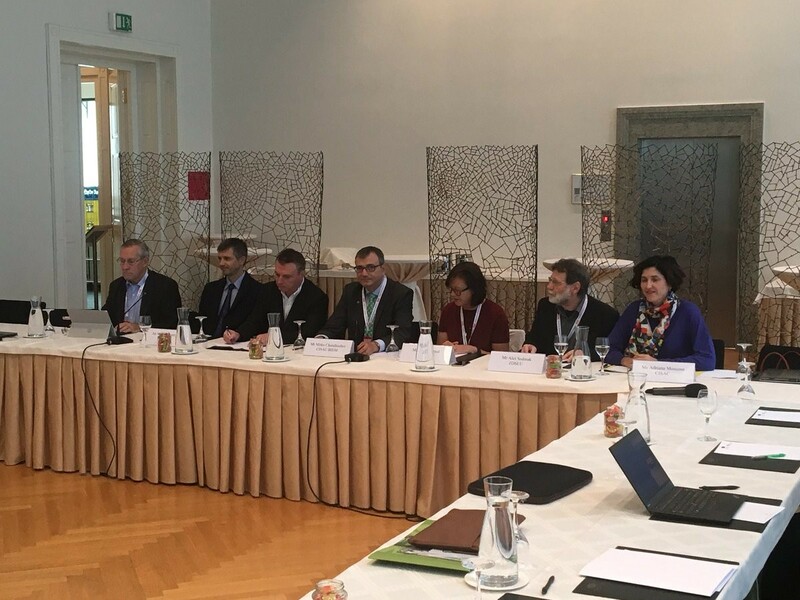 This important step was reported in the Slovenian radio and press and was warmly welcomed by all participants of the Conference. 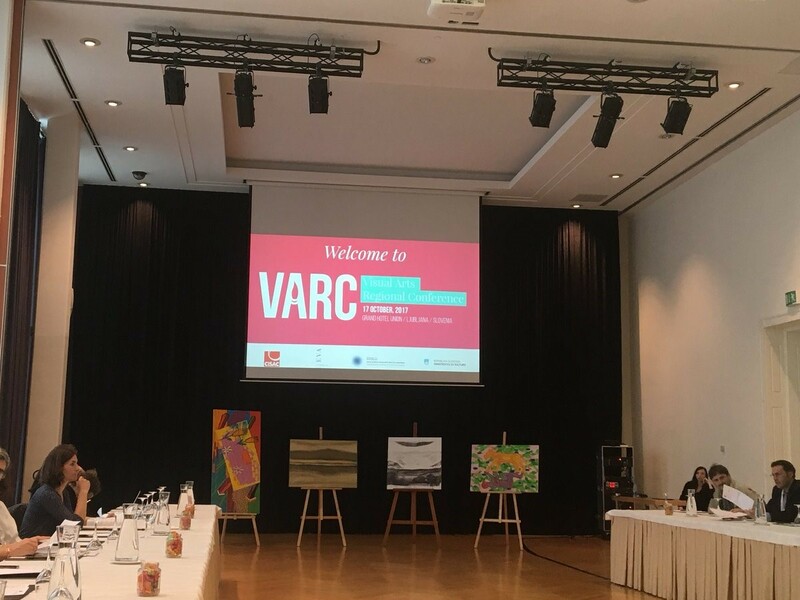 Mr. Anton Peršak, Slovenian Minister of Culture followed, stating in his welcome speech that visual arts stand for 16.6% of Slovenia’s GDP, while the welcome panel closed by Mr. Vojko Toman, Ph. D, Director General of Slovenian IPO. The conference was concentrated on the rights management of visual repertoire from a European and international perspective. Vincent van den Eijnde, managing director of PICTORIGHT, Netherlands and Mats Lindberg, managing Director of BUS, Sweden took the parole to describe the procedure followed to start a visual Collective Management Organization. They analyzed the different steps needed to form a CMO, the identification of the users of visual works, such as museums, heritage, educational institutions as well as publishers etc., the role of tariffs and the procedure to set up resale right management. Following on the second part of the panel discussion they analyzed the following steps, the identification of collectively managed rights’ revenues and the landscape of partners CMOs, private copy and reprography, the issues rising form cable retransmission and also public lending and e-lending. The two speakers referred to the role of surveys in this process and also the importance of the social and cultural funding for the implementation. On the second part of the conference EVA’s Secretary General, Carola Streul took the floor to present the current situation concerning the European Commission’s proposal for the Directive on copyright in the Digital Single Market, which is under discussion in the European Parliament. Following Mrs. Adriana Moscoso, CISAC Legal and Policy Director referred to the Global campaign on Resale Right in her speech. The resale right grants artists a percentage of the sale price when their works are sold in auction houses or galleries. It exists in more than 80 countries, but many artists are losing out in countries where the right is not implemented into national law, such as the United States, China, Switzerland and Japan. Last speaker Mr. Mitko Chatalbashev, CISAC Regional Director for Europe referred to CISAC Membership and Professional Rules.